Though there has been much debate on what comprises Philippine vernacular architecture, there is general acceptance of the bahay kubo and the bahay na bato as characteristic of traditional Philippine houses. And while the application of Steve Mouzon’s Classical/Vernacular Spectrum — as presented in his analysis of Bahamian architecture, A Living Tradition (2007) — might classify the bahay kubo as “vernacular” and the bahay na bato as “median,” for purposes of this essay, both house types are jointly considered Philippine vernacular. 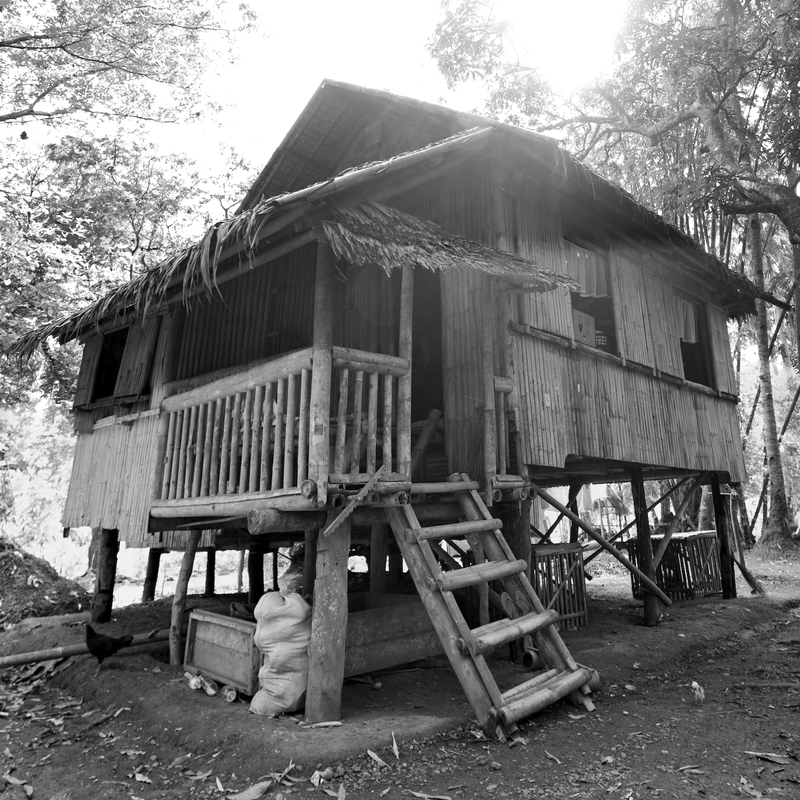 The bahay kubo (literally, “cube house,” as derived from the Spanish “cubo”) is an indigenous dwelling common in the Philippine lowlands; as a type, it is also found throughout Southeast Asia. 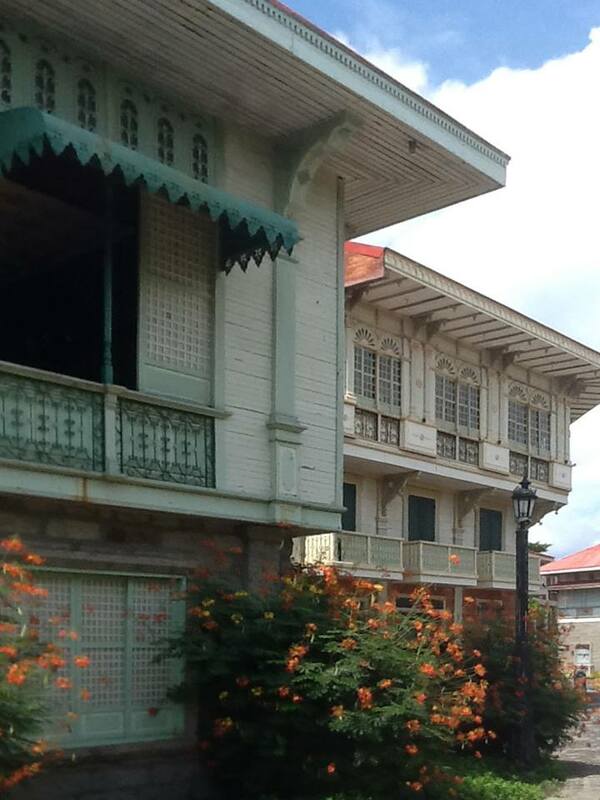 As its name suggests, the bahay kubo is square/rectangular in form. It is traditionally a lightweight and pliant structure made of wood and bamboo, and raised on stilts. The space beneath the hut (“silong”) is usually left open to the elements with the living area provided on the raised level. Before being replaced by contemporary materials such as galvanized iron, roofs were thatched with nipa palm or cogon grass. 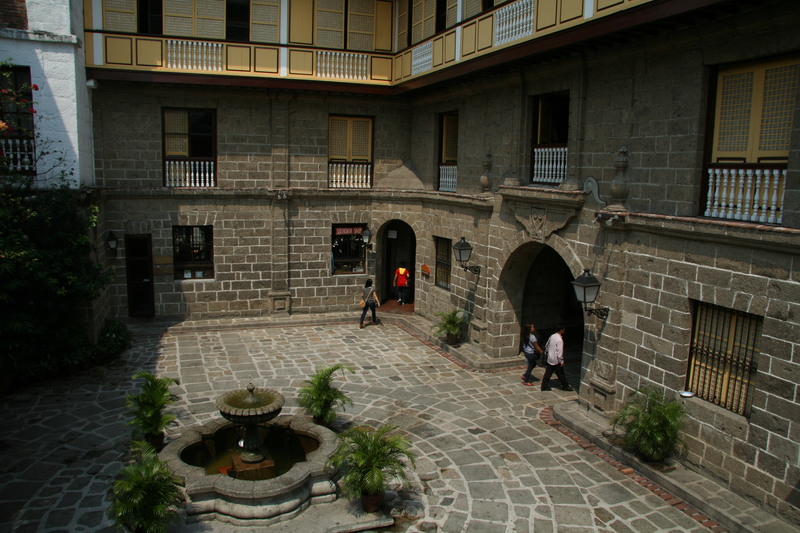 Its Spanish colonial descendant, the bahay na bato (“house of stone”) was a translation of the bahay kubo into more permanent construction materials and techniques. While there are some differences (e.g. the bahay na bato’s silong is enclosed with masonry, transforming it into a zaguan), the original DNA of the bahay kubo — among other traits, the simple plan, the raised house, the light upper floor construction — remains identifiable. 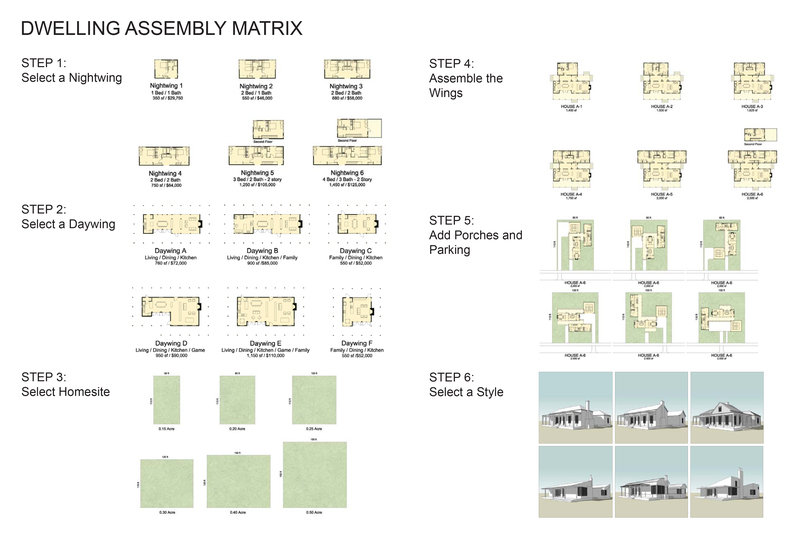 While the intent of this essay is not necessarily the replication of the bahay kubo or the bahay na bato, they embody several design and construction principles that may be considered in the creation of new Leaner housing. Some of these principles and their Lean interpretations are discussed in further detail below. Philippine Vernacular The bahay kubo and bahay na bato employ traditional post and lintel construction/ platform framing. As noted above, the pre-Hispanic bahay kubo utilizes building materials that are abundant and immediately available (e.g. timber, bamboo, palm fronds and grass), creating a light structure suited to the tropics. The simple construction and use of local materials facilitate the dwelling’s easy reconstruction and/or repair following earthquakes, typhoons or floods. Lean Interpretations Lean building begins with employing simple construction methods, using local, readily available materials. 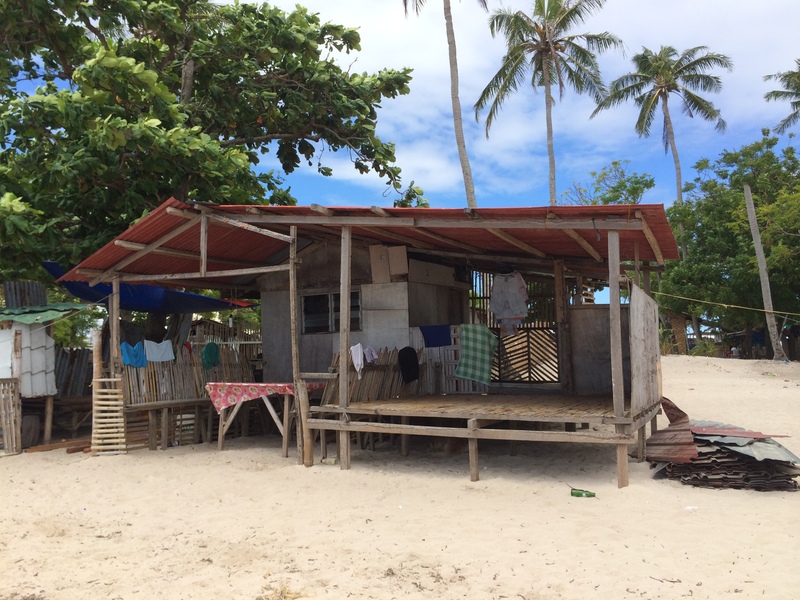 While the bahay kubo by nature is an impermanent structure, its light and simple structure nonetheless may easily be constructed by less-than-skilled labor. Philippine Vernacular These traditional Philippine dwellings are typically simple rectangles or squares in plain/simple boxes in form. In the most traditional bahay kubos, which generally range from 320 to 550 square feet, the raised dwelling area is in fact a single, large space, variously used as a living room, dining room and bedroom. Typically, the only enclosed room in the otherwise open plan is the celda; this room is provided and used only for the most intimate functions (e.g. washing, changing clothing) and for securing valuables. In larger houses, the spaces within the dwelling are arranged as a series of layers that flow into each other — defined volumes but not full enclosures — with mutable partitions and boundaries. The bahay kubo is raised on posts to avoid the damp earth, or worse, floods, and to prevent insects and animals from entering the house. Domestic animals, tools and implements are kept in the silong. The raised floor also allows air to rise up between the floor slats, cooling the living space. 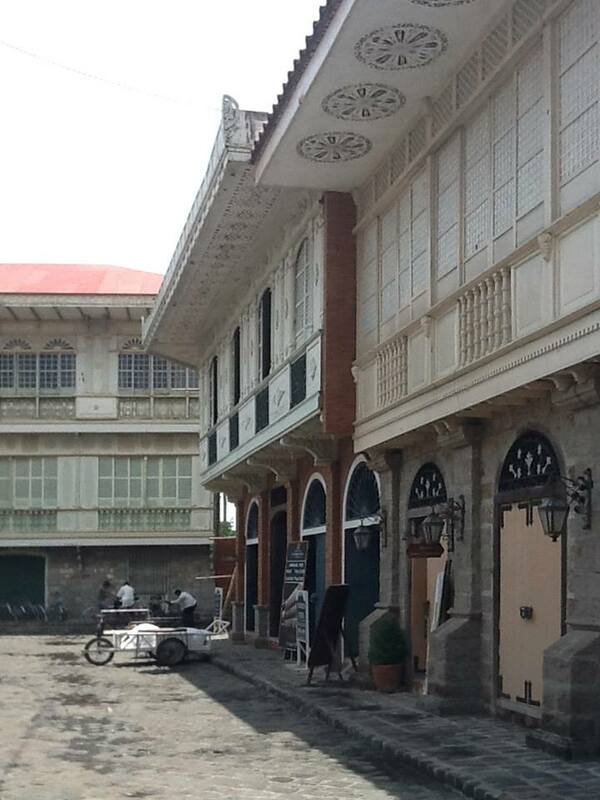 The raised habitable area is retained in the bahay na bato, where the ground floor zaguan remains for storage, carriage parking and/or small-scale business use. The bahay na bato may also incorporate a courtyard/patio, providing an additional private area for the family, as well as allowing more light and ventilation into the house. Lean Interpretations By keeping the form and massing simple, the bahay kubo and bahay na bato engender economy in both materials consumption and construction. Similar American precedents, in terms of plan compactness and simplicity, include the shotgun cottage and railroad houses. Meanwhile, dwelling units above garage spaces are commonly seen in tuck-under houses, and, for smaller dwellings, in carriage houses and mews. Live/works and courtyard houses are also popular house types in many traditional neighborhood developments; the former Leanly cultivate small businesses, while the latter are especially effective for maximizing habitable floor area, light, ventilation and privacy on a small lot. The average size of the bahay kubo is comparable in size to the Katrina Cottages. With the growing advocacy for smaller, more efficient houses, open plans with multifunctional areas help create the illusion of space even in the most modest of dwellings. Presently, many municipalities impose a large minimum residential lot size; if Lean, smaller houses are to be affordable, this minimum lot size needs to be significantly reduced. Last but not least, the concept of a central space or room around which a house might be arranged and subsequently be expanded has parallels in the kernel house or growhouse. DPZ’s Nightwing- Daywing Dwelling Assembly system is a variation of this Lean strategy. 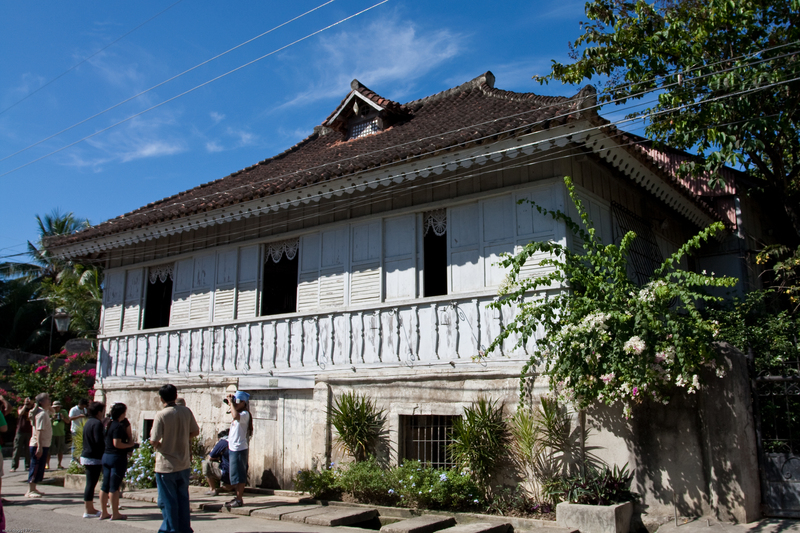 Philippine Vernacular With an internal wooden frame, the bahay na bato’s ground floor stone walls are non-load bearing and mitigate severe damage in the event of earthquakes. In addition, the upper floor typically extends beyond the line of supporting posts. With the upper exterior walls being non-load bearing and lightly constructed, tall and wide wall openings for maximum daylight and cross-ventilation are possible. 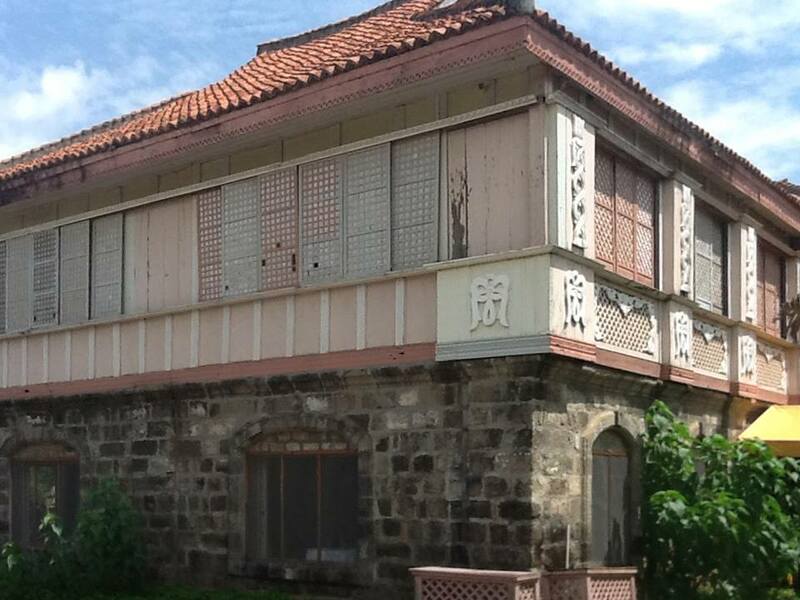 Indeed, the windows of the traditional Philippine house take up a high proportion of the wall surface area, in many instances more than 50 percent. The window system itself comprises multiple components, with one layer of sliding panels fitted with translucent windowpane oyster shells (“capiz”) and a second layer of manually operable wooden louvers. The capiz panels slide wholly into recesses in the walls for maximum ventilation, while the wood jalousies can be adjusted to block the harsh sun. In inclement weather, the sliding capiz panels can be completely shut while still permitting daylight into the house. Transom windows/ vents above the main windows and under the roof eaves, as well as ventanillas — small shuttered windows with balusters or grills placed below the main windows — let air in even when the capiz panels are drawn (e.g. at night). In some houses, voladas (perimeter passages) are also provided, allowing air to circulate around, and cool, the house. (They also permitted servants to circulate from room to room without disturbing the master’s family in the main living spaces. Some voladas were larger, allowing the women to “paseo”, promenading indoors/walking the perimeter of the house while chatting.) Overall, this comprehensive system, while low-tech, allows full control of the amount of light and air entering the house. Lean Interpretations The bahay na bato with its non-load bearing ground floor walls has its parallel in the post-hurricane Katrina stilt-raised house with collapsible ground floor walls. As the possibility of more future superstorms looms, the bahay na bato might provide lessons for maintaining urbanism with houses whose main habitable spaces are raised above the ground floor. Secondly, with high energy and maintenance costs becoming a growing concern in home design and construction, vernacular lighting and ventilation systems such as those in the bahay na bato may provide a Leaner alternative, mitigating reliance on more expensive approaches. LEED standards prioritize high-tech strategies (e.g. the use of EnergyStar fixtures/devices and green HVAC systems) and prefer the measurement of sustainable performance in absolutes, yet say relatively little about, if not discourage, passive solutions. Conversely, effective low-tech systems as described above encourage, if not require, a greater degree of tolerance, and are among the main advocacies of Lean Urbanism. Philippine Vernacular The roof is regarded as the most important element in Filipino architecture. Traditional Philippine dwellings have a steep slope for easily shedding rain, with means for capturing and storing rainwater. The steep slope also helps draw hot indoor air upwards to the top of the roof and away from the living areas. Deep overhangs protect the large windows from harsh sunlight and rain, with vented soffits to further assist in dissipating the hot air and moderating the temperature inside the roof structure, and consequently, the living spaces below. Lean Interpretations Similar to the disposition of windows and other openings, the strategies employed in the roof design of the bahay kubo/bahay na bato are largely practical responses to climatic conditions. Notwithstanding the cost of a taller roof profile relative to a lower one, these Lean, vernacular techniques are less expensive technologies compared to costly high-tech appliances and systems. 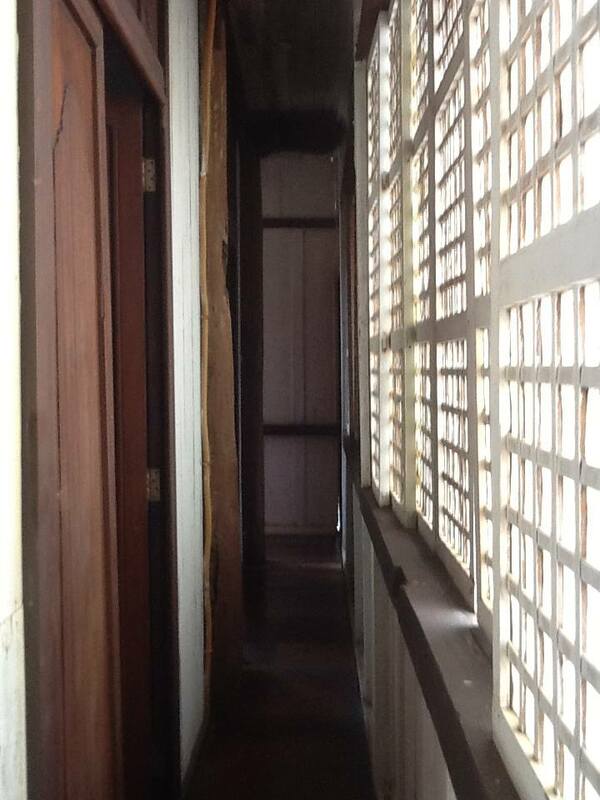 The preceding comprises a very preliminary examination of Lean lessons that might be gleaned from Philippine vernacular dwellings; more Lean techniques might be discovered with further research and analysis of the bahay kubo and bahay na bato. Moreover, the Lean interpretations described above admittedly pertain mainly to a tropical context. A comprehensive Lean housing toolkit mandates the examination of other contexts as well, specifically where such living traditions still thrive, including the rest of Southeast Asia, China, the Caribbean, parts of Latin America, the Middle East, Africa and Europe, and the small towns of North America. Ultimately, the above is intended to be a contribution to the growing toolkit of Lean strategies in the area of “The Vernacular Mind,” which presently includes Steve Mouzon’s aforementioned catalog of Bahamian building traditions and DPZ’s study of Scottish vernacular housing. The examination of the vernacular herein also dispels the misconception that Lean strategies necessarily produce development that is of diminished or unappealing quality (e.g. stopping short at sea can housing or shacks constructed from scavenged materials). Rather, and in addition to its pragmatism and rationality, vernacular housing presents an elegance worth rediscovering and reintegrating into our present building practices. Senen M. A. Antonio is an architect, urban designer and planner with more than 20 years of international experience in sustainable design and planning, including plans for regions and sectors; military base redevelopment; transit-oriented development; disaster recovery; urban reclamation, revitalization and infill; and new towns, in Asia, Africa, Europe and North America. A Partner at Duany Plater-Zyberk & Company (DPZ), Antonio has managed projects across all phases from conceptual design through construction. He lectures widely on urbanism and contemporary development issues, with a recent focus on Asia. He has spoken before government, academic, professional and general audiences in China, Laos, Indonesia and the Philippines, and is a contributor to professional journals and other publications. 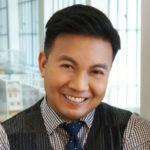 His educational background is in Real Estate, Urban Design, Architecture and Visual Communications.